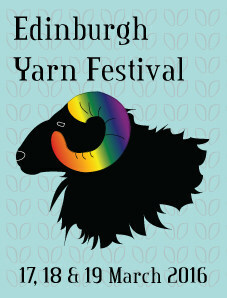 This week I am back with an episode looking at the Breed swatch-along, a new feature on the stories behind our stitches and I give you the low-down on the Edinburgh Yarn Festival, if you are planning a trip to Scotland’s yarny capital next March! Today’s episode is sponsored by Edinburgh Yarn Festival. Scotland’s premier knitting event is being held from 17-19th March 2016. 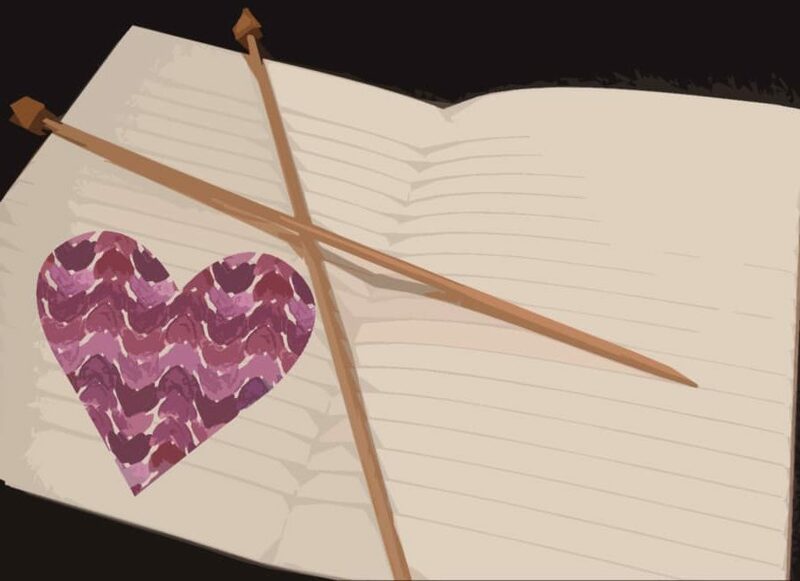 With world class tutors, a packed marketplace with hand-picked vendors, meet-ups, demos – and the Podcast Lounge – Edinburgh Yarn Festival is a must on any yarn-lover’s calendar. Click on the logo to visit the website and do sign up for their email newsletter. Thanks so much for your feedback on the last episode of the podcast – I am sorry, but I did say from the outset that I would be doing some heavy enabling, so take no responsibility for larger ravelry queues. 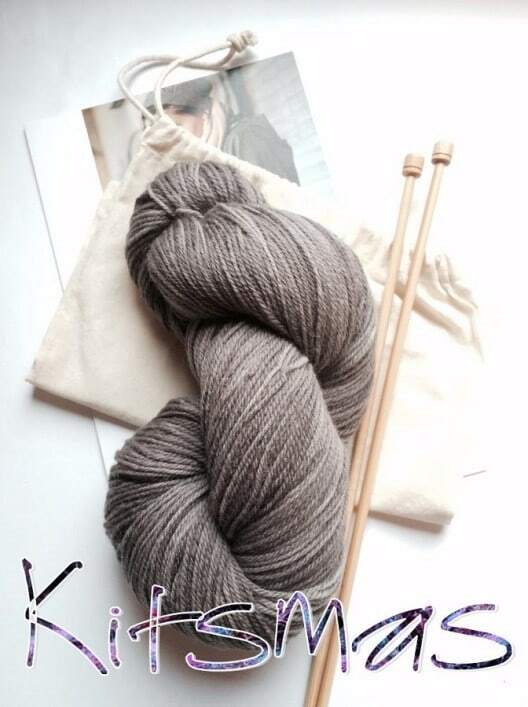 Also many thank for your feedback about the blog this week on the natural gradient series and the new Kitsmas Shopping posts. This is a new semi-regular segment of the podcast where I ask people about the stories behind their hand-made items. Did you make it yourself? 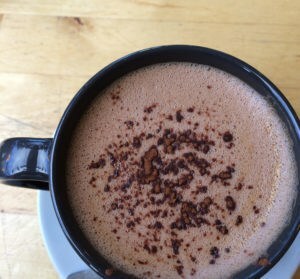 Did someone make it for you or how did you come by it? Maybe the story is in the construction or the techniques used or it reminds you of a person, a time, or a place. While in Shetland I spoke to a lot of people about their meaningful knits and I hope to record more. Today we hear from Marylin Healy, who took part in the 5000 Poppies project in Australia. Listen to her short story of the project and how just a very few stitches have connected so many people from all over the world in tribute of remembrance and respect. 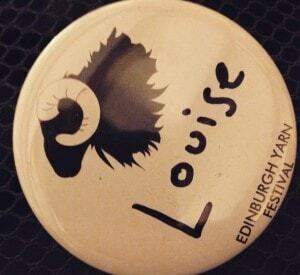 It is a mere 17 weeks until the next Edinburgh Yarn Festival! Have you booked, or are you still swithering a little? This year I was a visitor to Edinburgh (though now a resident) and I give you my wee run down on tips for starting to plan your journey to Edinburgh. You can sign up for Train Ticket Alerts and if you are going to be staying in the city you should definitely think about booking your accommodation now to try and secure an early-booking discount. There is a great thread in the EYF Rav group on this very topic. I mention three brands of hotels (cheap, middle of the road and a few pounds more), which I have used and can reccommend, but AirBNB is also a great place to check out, particularly if you are coming to town with friends or family. I also talk a little about the venue, what you can expect there and the wondrous Podcast Lounge too. I hope you are now planning on going and that we see you there. If you are going what will you knit? I started a thread on this topic and you can pitch in and tell us which knitted item we may be able to recognise you by at EYF2016. Hello to any new swatchers who have joined in since Wovember, it’s lovely to have you join in. I have enjoyed reading the chat thread so much and watching the reviews in progress. 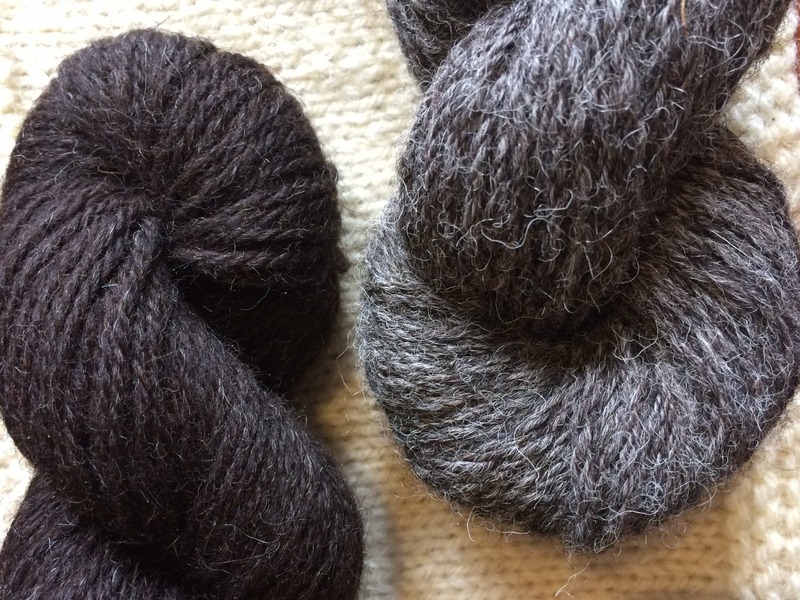 So far we have had North Ronaldsays, Herdwicks, Shetland, Ryelands, Manx, Castlemilk, Norfolk Horn, Navajo Churro, Icelandic, Welsh mountain, Gotland, Leicester Longwool, Llanwenog, Wensleydale, Suffolk, Teeswater….the list goes on and it is really exciting to see how people are discovering wool like this for the first time. 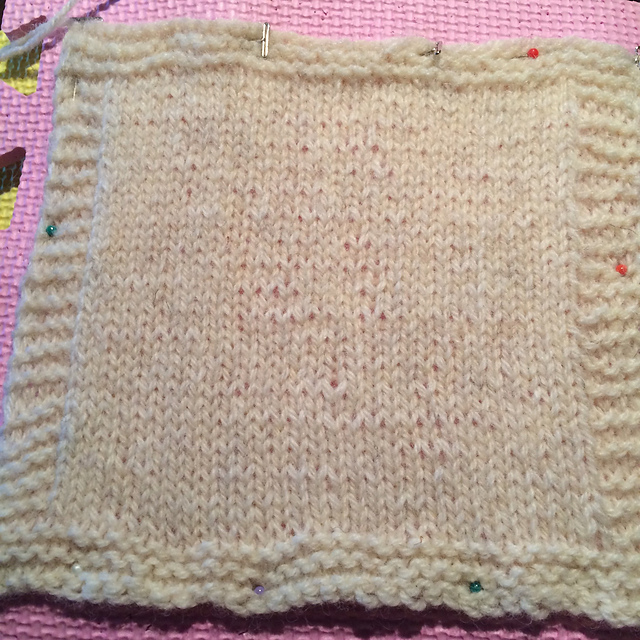 This is my Suffolk swatch, which needs a final wash, block and wear test, but you can read my ongoing notes here. If you live near Glasgow I will be at the Queen of Purls on November 28th when Zoe hosts a charity event for The Big Issue. 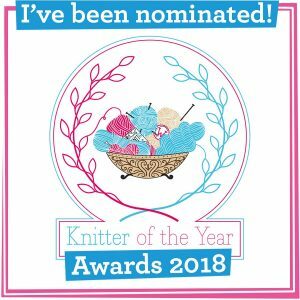 Other lovelies Leona from Fluph, Jess from Ginger Twist Studio, Amanda B Collins and Jules from Woollen Flower will all be there and I will be there with my British wool samples, to give you a little wool tasting! If you are so inclined you can bring knitted items, such as hats and scarves, to donate to Big Issue vendors in the city, or 8X8″ squares which will be sewn into blankets to try to help keep Glasgow’s homeless warm this winter. I will be back around the 27th with more of the same kind of woolly fun, including yarn and book review. Don’t forget about the ECY giveaway, which you can enter over here. 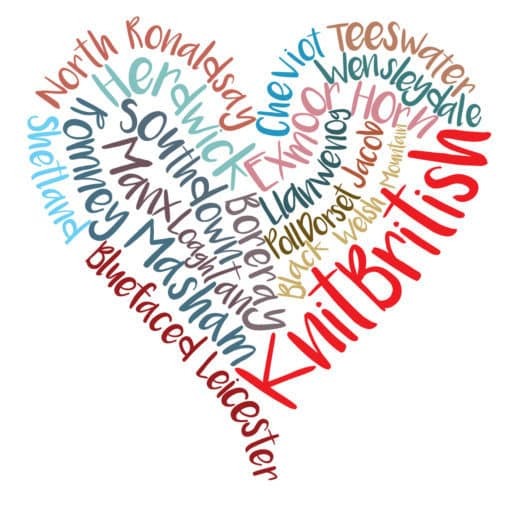 Don’t forget to check back to KnitBritish to keep up to date with upcoming blogs, or sign up for email updates on the right hand menu, under the sponsor image. Music used: JS Bach Cantata 208/Sheep Shall Safely Graze, Kevin McLeod. Smiles Throughout The Sky by Kai Engel – both from Free Music Archive.